A prayer life resource – what’s in it? People are talking about prayer life more than before. Many pray, but admit they don’t really enjoy it. They believe it’s good, powerful and necessary, but it’s not a favourite enjoyment. Duty and routine are there, but aren’t enough to make prayer life soar. Fortunately, the Spirit is great at re-energizing the tired prayer life (and making the good one even better!). 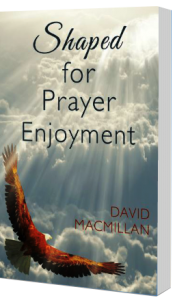 Prayer experience won’t rise beyond our heart’s enjoyment of the Lord. So how does lift-off happen? 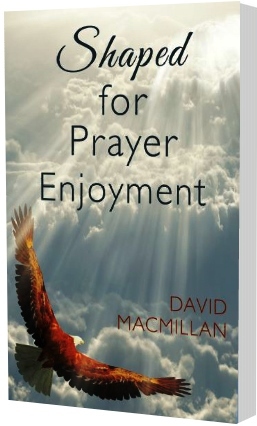 How does enjoyable prayer become a way of life? What’s the connection between God’s constant presence and prayer adventure? What does it mean to pray with a raised heart? Pray-ers who are full, yet always hungry – how do we grow that appetite for the Lord? In what ways can we use Scripture to shape our praying? How can we reach deeper into the power and enjoyment of corporate prayer? These are some of the areas covered in Shaped for Prayer Enjoyment.